Flap cover with press button beautiful design soft textured light weight leather suede embroidered purse with thin 5mm foam and polyester lining lining and zipper close. 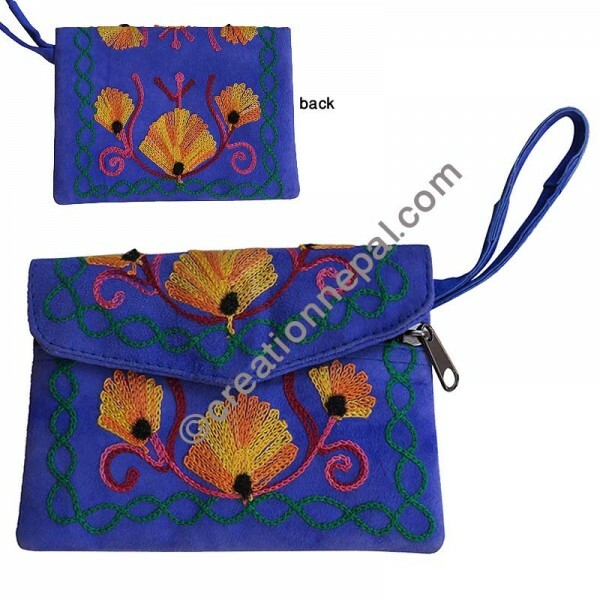 Since the Top covered leather suede purse is entirely handmade; the measurement may vary in each final product and the color and embroidery design can be different than they are shown on the picture. The given weight of the purse is calculated for the shipping purpose, so that the actual weight can be different than it is mentioned here.